“Paddle, paddle, paddle!” yells Mark Treston, our river guide and owner of Happy Raft, a 15-year old guiding company located along the banks of the Yoshino River. Our four-person team paddles hard, leaning right and left as Mark calls out directions while whitewater rushes into our raft. Splashing waves drench our faces, soaking our clothes as we drop off the edge of the rapid, and float our way back into the calm of the eddy. No, this isn’t the Wild Wild West. It’s Japan, and it’s nothing like you imagined. From the lights of Tokyo to the powder skiing of Hakuba Valley, visitors flock to Japan for its sights, adventures, and unique way of life. The country’s long been on my bucket list, but for this trip we skipped the tourist hotspots and instead headed for Japan’s lesser-trafficked western side. 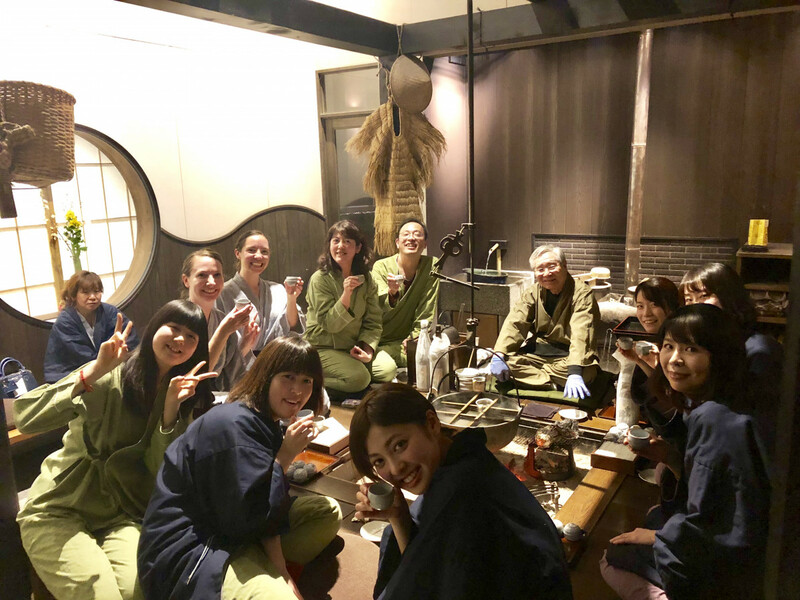 Kicking off with a trip down the Yoshino River and wrapping with a stay at an authentic Japanese ryokan, this bucket list hits all the sights you wanted to see in Japan, but never knew to visit. 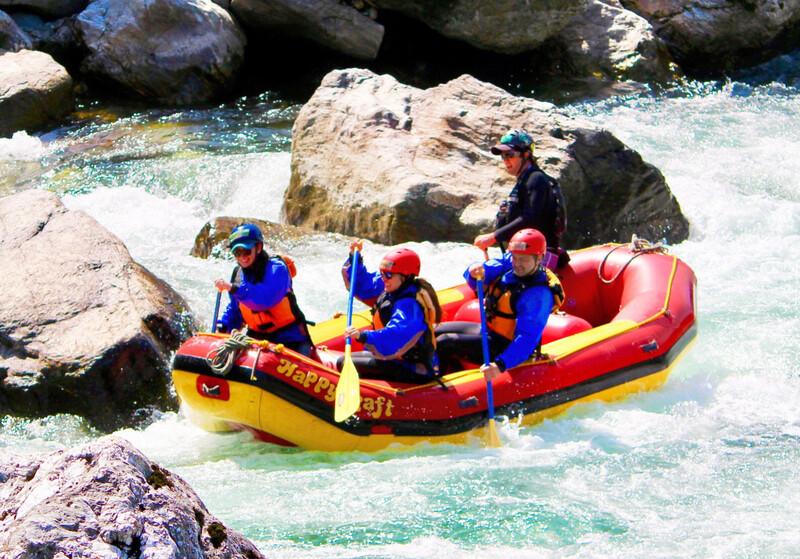 When you think of river rafting, Japan is likely not the first place you’d go. But any preconceived notions are proven wrong after a paddle on the Yoshino River in the heart of Shikoku. Tucked in a rocky, tree-lined gorge, the Yoshina River’s blue-green waters flow through the Iya Valley, creating rapids big and small. With Mark as our guide and three passengers aboard, we venture two-and-a-half miles downriver through churning whitewater, drops, and past towering, rock cliffs that practically beg us to jump in. Once drenched, we paddle on to Happy Raft shop where hot green tea and homemade bagels await. 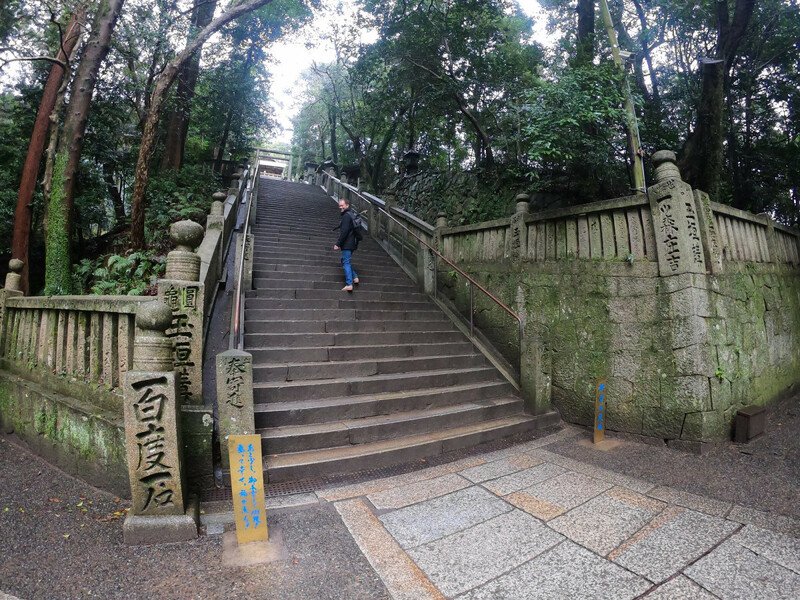 Beginning in the town of Kotohira, climb 785 stone steps to the Shinto faith’s main shrine and 1,368 stairs to the inner shrine. Along the way, we saw shops selling local crafts and jewelry, a café, works of art, cherry blossoms, and a herd of sacred horses. A visit to this shrine is said to bless travelers, and reaching the top rewards you with panoramic views of the Kagawa Prefecture. Get a bonus blessing by purchasing a fortune near the shrine with a lucky dog charm attached. Once back in town, forget about ramen for refueling. When in the Kagawa Prefecture, taste its specialty: Sanuki udon, a type of udon noodle with a square shape and flat edges that slides right down your throat. There are over 700 udon restaurants in this prefecture alone! Don’t be afraid to try alternate takes on the dish like Udon ice cream—a surprisingly delicious combination of ginger ice cream topped with scallions and soy sauce. 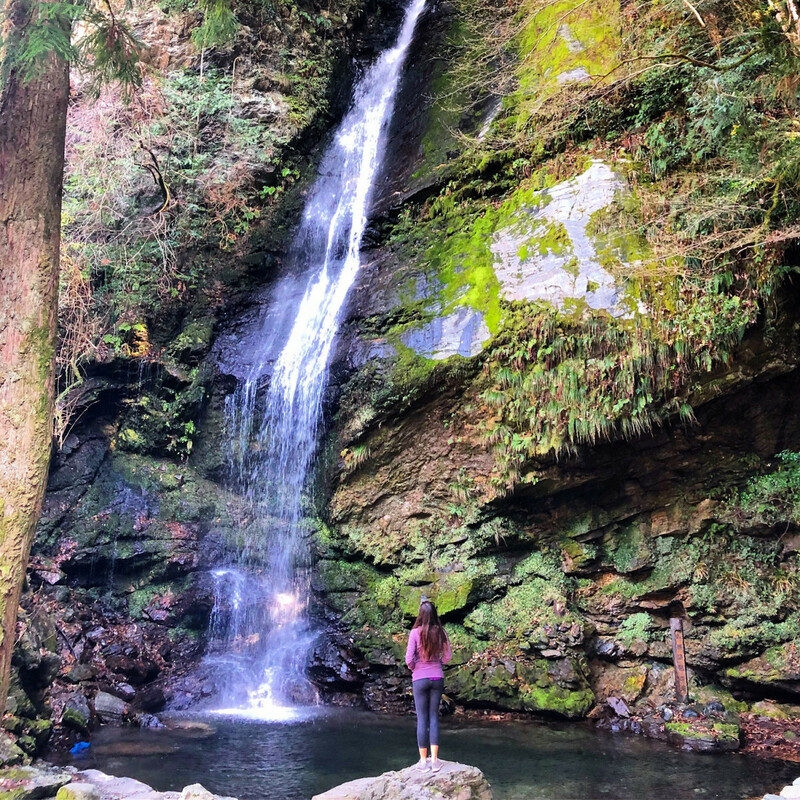 Deep in the mountains of Setouchi Island, the Iya Valley’s lush slopes and deep gorges hide secrets from its past. Historically regarded as one of the most remote places in all of Japan, hand built vine bridges once crisscrossed the canyons, a vital necessity for transporting people and goods. The bridges date to at least 1100 and were made from twisting together a thick, native vine called Actinidia argute. Today, three of the dozen such bridges remain. And while they’re rebuilt every three years to ensure their sturdiness, visitors can still cross them today. Kazurabashi Rope Bridge is the most accessible, but its wooden planks spread seven inches apart and four-and-a-half story drop to the water makes crossing a tough charge for acrophobics like me. Clinging to the vine rails as the river rages below, I hesitantly close the 150-foot distance, cautiously stepping from plank to plank. A roadside oasis awaits on the other side: Biwa Waterfall. Long ago, fugitives from the Heike clan came to the waterfall to play the Japanese lute (called a biwa) and sing beside it. Board a ferry in Hiroshima and cross the Seto Inland Sea to reach the island of Miyajima. 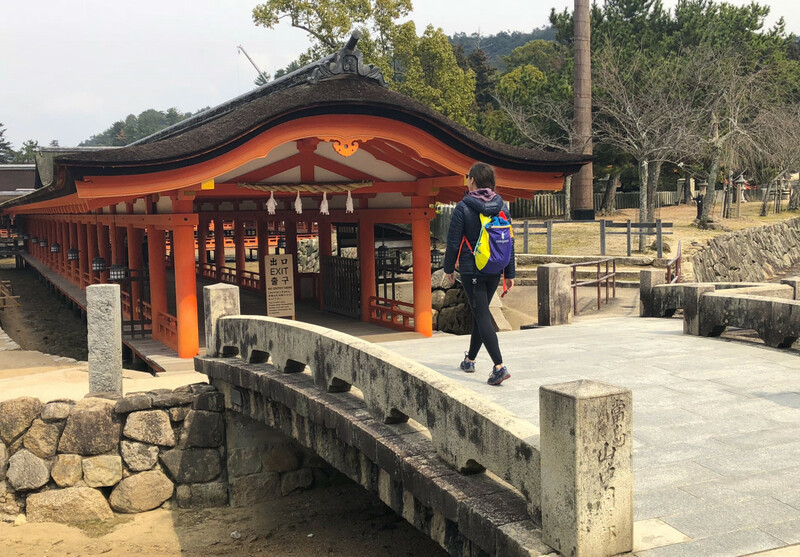 Arguably the most visited site of our trip, Miyajima exudes mythical mystique thanks to its herd of free-roaming, miniature deer that eat right out of your hand. Its colorful Itsukushima Torii Gate seems to float unaided in the tidal waters—standing watch over the Shinto faith’s revered Itsukushima Shrine. Walk inland to escape the crowds and reach the mountain’s tallest peak, Mount Misen. Visitors can ascend from three trails, but due to the rain and limited time, we trimmed the hiking distance by riding a pair of aerial ropeways up a portion of the mountain. From the aerial ropeway’s endpoint, hike 30 minutes to religious sites like Misen Main Hall and the Reikado (Hall of the Spiritual Flame). The flame is set to have been lit by Kobo Daishi, the founder of the Shingon sect, and has been continuously burning for over 1200 years. Continue to a multi-story observation deck for Seto Inland Sea views. 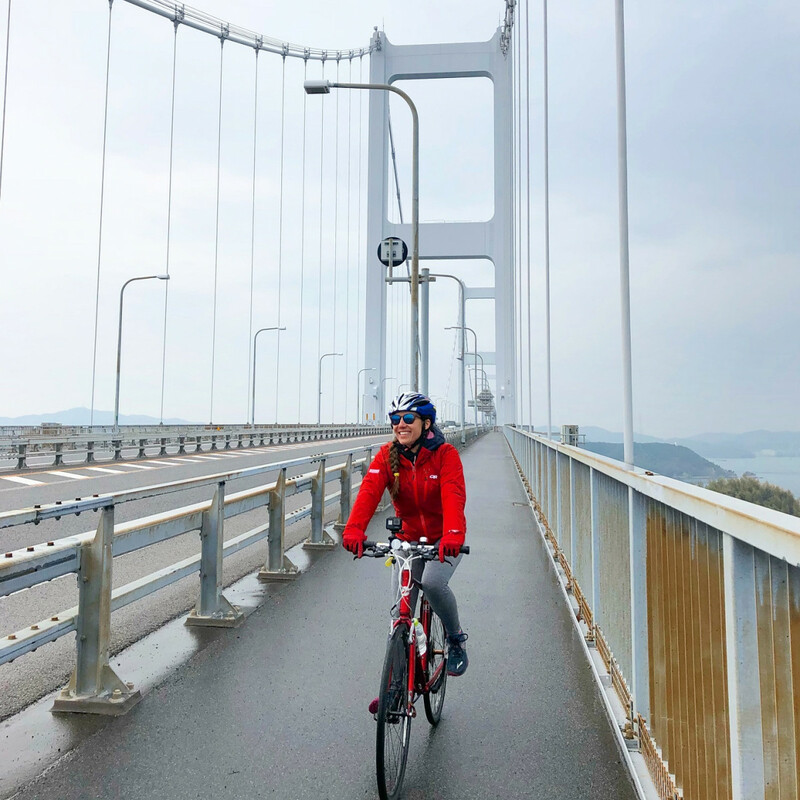 Crossing six islands and six bridges in a day, cyclists come from around the world to ride the Shimanami Kaido. From Onomichi U2, Japan’s first hotel for cyclists, you can ride out the door and onto the route. Well-paved, organized trails with curved bike entrance ramps make it a joy to ride and difficult to get lost. The perfect midway resting point is Imbari Rest Area, where a shop sells the region’s specialty: mikans. Japanese for manadarin orange, find them in mikan chocolate, candy, and juices galore at this waterside shop with bridge views. The journey’s final highlight is cycling Kurushima Kaikyo Bridge, the world’s longest suspension bridge. A light rainfall keeps the crowds away as we pedal past citrus groves and small towns to end at an overlook of the stunning 4,015-meter long structure; the perfect trip finale. There’s no better experience of traditional Japanese culture and customs than staying in a ryokan. Imagine a hotel where instead of gathering at the hotel bar, you spend the evening around a sunken hearth sipping from a mug of heated sake. Surrounded by fellow hotel guests, you enjoy vegetable dumplings and hot apple desserts cooked over an open flame. At KAI Alps, a ryokan in the Nagano Prefecture, this nightly occurrence is a free celebration of the area’s historical culture. This Japanese inn and others like it are popular retreats for city dwellers, and differ dramatically from run-of-the-mill Holiday Inns. 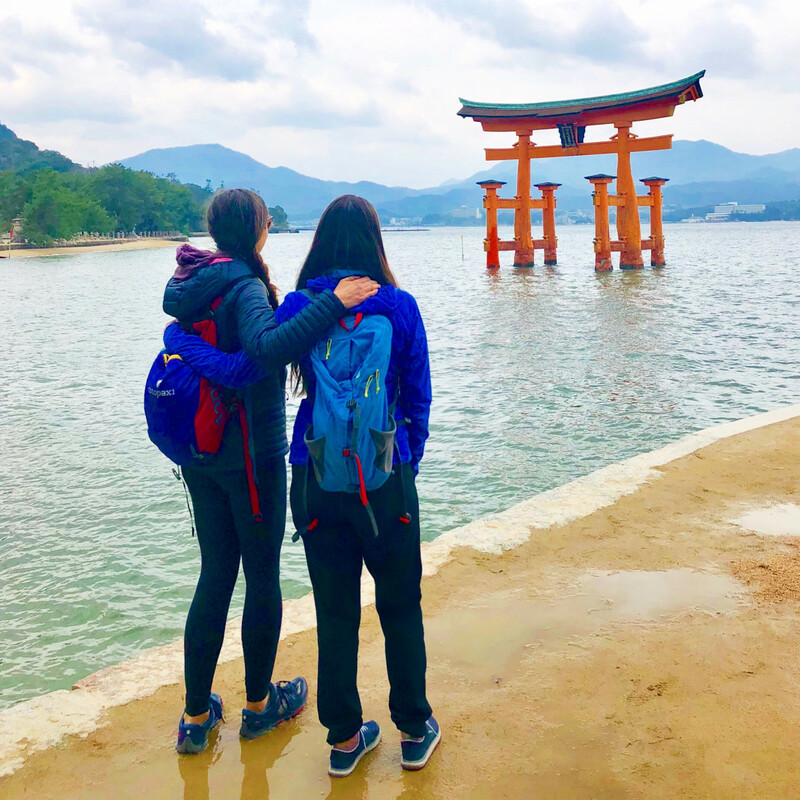 Just 10% of travelers are from any other country, meaning the experience here is as authentically Japanese as it gets. Beautiful grounds and gardens take center stage, and nearly everything is included once you walk in the door. In ryokan rooms, shoes are removed at the door and guests are provided with slippers for the room and zori—a sandal worn with toe socks to wear around the resort. And in the name of cleanliness, there’s a totally different pair of sandals for using the restroom. Inside, beds and furniture sit directly on tatami (straw mat) floors. And forget about whatever you wore to the ryokan. Once there you’ll sport a yukata—a casual woven Kimono—instead. Meals are often served family-style, with the multi-course kaiseki dinner and traditional Japanese breakfast included with your stay. You’ll try weird things (like fish sperm soup) and delicious ones (like fresh ahi tuna). And will wake on the savory side with hot miso soup, grilled fish dishes, and even cooked squid for breakfast. If you were looking for a bowl of cereal, you’re out of luck. No Western meals are served. But honestly, isn’t that part of the joy of this experience? But the highlight for many ryokan guests is the onsen, or hot spring bath. While Americans may shy away from stripping down publicly, it’s best to embrace it and just float or soak your cares away. 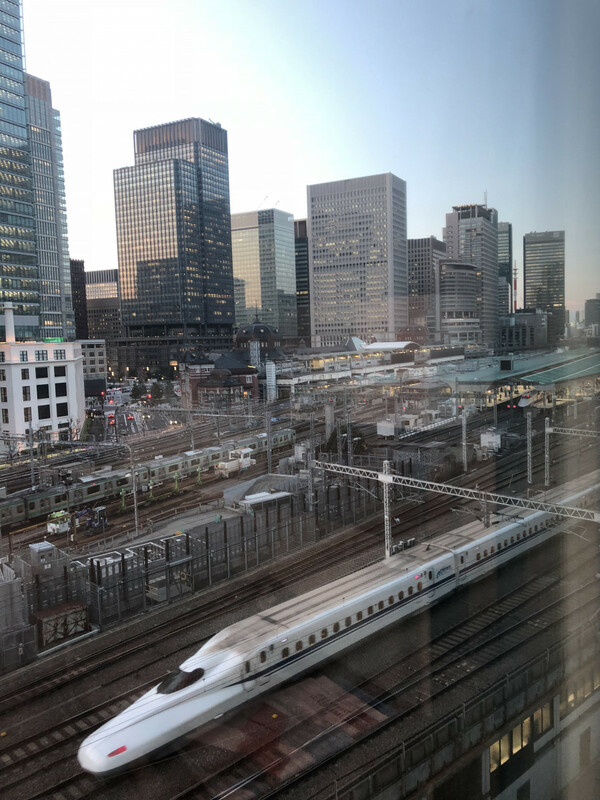 Connecting this whole tour is the Shinkansen, Japan’s renowned bullet train, which is a bucket list item unto itself. Smoothly cruising at speeds reaching 200 miles per hour, these trains were conceived over 50 years ago as a means to connect Tokyo to Japan’s more remote regions. Due to the Japanese culture’s focus on respect, you can expect a quiet, and dare I say, pleasant, travel experience.